Spring has sprung folks and that means that your neighborhood Farmers Markets that were closed during the Winter months are about to open up! Local Farmers and Artisan Food Producers from around Washington will be making their delectable foods available to you this season. Hitting up the Farmers Market makes great outing solo, as a date or with the family. Our various markets will often have live music, chef demos, crafts, contests, local artists, author signings and even activities for the kids. Check with the individual Market’s website to see what scheduled events are coming up. It’s a great chance to go on an outing to shop for dinner and get to know the people behind the food. How great is it to pick up a bundle of Kale, fragrant Spring Onions or a bunch of Carrots and hear the Farmer working the stand tell you that those were harvested at 5am that very morning. It doesn’t get any fresher than that! So what can you find at your local Farmers Markets? Well it really depends on the time of year you go. Farmers Markets selection is based on Mother Nature, so whatever is ripe is what is on sale. Alongside the seasonal fresh Produce you can also find Eggs, Milk, Cider, Seafood, Beef, Chicken, Pork, Plant Starts, Vinegars, Nuts, Salt, Foraged Foods, gorgeous Flower Bouquets, Breads, Pastries and Cheese just to name a few. Today I am sharing with you some of our major local Farmers Markets information so you can plan your next outing to healthier, local food brought to you by proud, hard working people. Later I’ll be sharing with you some inside information on a couple of my absolute favorite Farmers Market haunts… and also a few mouth watering recipes that showcase the best food produced right here in the Northwest. Bellevue’s Thursday Market – OPENS MAY 13th – Thursdays, May 13th – October 14th, from 3:00pm to 7:00pm, at 1717 Bellevue Way Northeast. Bellevue’s Saturday Market – OPENS JUNE 5th – Saturdays, June 5th – November 20th, from 10:00am to 2:00pm, at 10610 Northeast 8th Street. Bellingham Farmers Market – OPEN NOW! – Sautrdays, April 3rd – December 24th, from from 10:00am – 3:00pm, at Railroad Street & Chestnut Street. Check their website for more market days. Broadway Sunday Market – OPENS MAY 9th – Sundays, May 9th – December 19th, from 11:00am to 3:00pm, at 10th Avenue East & East Thomas. Columbia City Farmers Market – OPENS APRIL 28th – Wednesdays, April 28th – October 20th, from 3:00pm to 7:00pm, at Rainier Avenue South & South Edmunds. 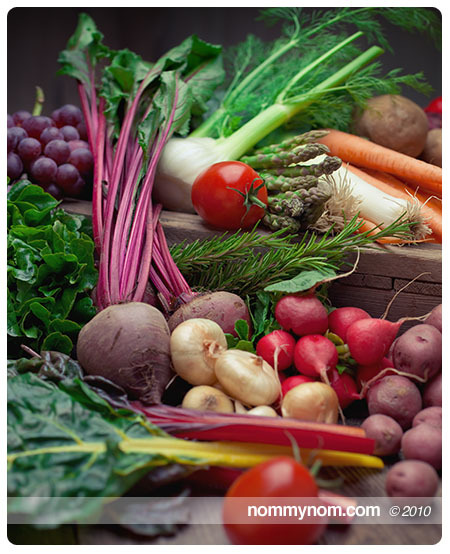 Fremont Farmers Market – OPEN YEAR ROUND – Sundays, from 10:00am to 5:00pm, at Phinney & 34th. Check their website for more info on Ballard, Wallingford & Madrona Markets. Lake City Farmers Market – OPENS JUNE 3rd – Thursdays, June 3rd – October 7th, from 3:00pm to 7:00pm, at Northeast 125th & 28th Avenue Northeast. Magnolia Farmers Market – OPENS JUNE 5th – Saturdays, June 5th – September 25th, from 10:00am to 2:00pm, at 2550 34th Avenue West. Phinney Farmers Market – OPENS MAY 28th – Fridays, May 28th – October 1st, from 3:00pm to 7:00pm, at 67th & Phinney Avenue North. Port Townsend Farmers Market – OPENS MAY 1st – Saturdays – May 1st – December 18th, from 9:00am to 2:00pm, at Lawrence & Taylor in Uptown. Check their website for information on their Wednesday Market. 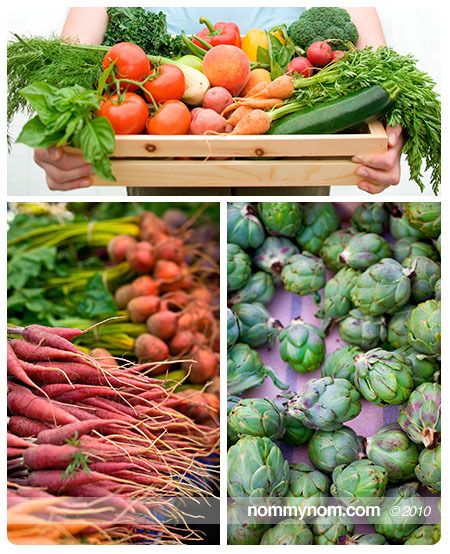 Poulsbo Farmers Market – OPEN NOW! – Saturdays, April 10th – October 23rd, from 9:00am – 1:00pm, at Northeast Iverson Street & 7th Avenue Northeast. Puyallup Farmers Market – OPENS MAY 1st – Saturdays, May 1st – October, from 9:00am to 2:00pm, at 330 South Meridian in Pioneer Park. Check their website for information on the Sunday Market. Queen Anne Farmers Market – OPENS MAY 20th – Thursdays, May 20 – October 7, 2010, from 3:00pm to 7:00pm, at West Crockett Street & Queen Anne Avenue North. Spokane’s Saturday Market – OPENS MAY 1st – Saturdays, May 1st – October 30th, from 8:00am to 1:00pm, at 2nd and Division in Downtown. Check their website for dates & times for their Wednesday market. Tacoma Farmers Markets – OPENS MAY 20th – Thursdays – May 20th – until Season Close, from 8:30am – 2:00pm, at South 9th Street & Broadway. 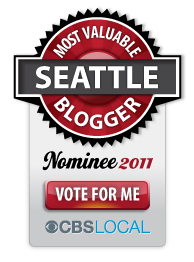 Check their website for locations of two other Tacoma area markets. University District Farmers Market – OPEN YEAR ROUND – Open Every Saturday, from 9:00am to 2:00pm, at University Way & Northeast 50th. West Seattle Farmers Market – OPEN YEAR ROUND – Open Every Sunday, from 10:00am to 2:00pm, at California Avenue Southwest & Southwest Alaska. Yakima Farmers Market – OPENS MAY 9th – Sundays – May 9th – October 31st, from 9:00am to 2:00pm, at 3rd Street & Yakima Avenue. This is by no means a complete list, but it’s a good place to start you on your exploration into local, honest to goodness food. Do you have a favorite market not mentioned here, please share it with us! Let the Farmers set up their booths, obey the market rules of no shopping before the official opening of the Market. Keep track of your children and keep them close, but keep it fun. Let them explore the booths with you and talk to the Farmer’s but be sure to reel them back in when the Farmers start getting busy. Dog owners be sure to note Market rules pertaining to Dogs… some allow them and some don’t, and scoop that poop! Don’t haggle or dicker prices at the beginning of the Market day. Let the folks who are paying the posted market price pay, get in and get out. Save your chaffering for the end of the day, it’s extremely rude to hold up a line of folks who are trying to pay when you want that extra bunch of Lamb’s Lettuce for half price during peak hours. Most Farmers are willing to make you some really great deals as the market comes to a close, and some will even throw some freebies at you from time to time. Wait until about 30 minutes to closing before you start bargain hunting. Have fun, get to know your food and the folks who bring it to your table! This entry was posted in Out & About and tagged family, farmers, farmers market, food, fun, healthy food, local, localvore, market, out and about, produce, seattle. Bookmark the permalink.